Anthony Sorbello, Sr. owned and operated a small family farm for twenty years where he raised onions to sell to local wholesalers. In 1952 Anthony Sorbello was presented with an opportunity to own and run a restaurant business. He started "Bing's Drive-In", which was located at 810 E. Genesee St. in Chittenango. Although the restaurant business was successfrul, Anthony Sorbello longed to pursue the produce business and get back to his roots as a farmer. To answer this call, Sorbello's Produce was founded in the spring of 1972. Sorbello's Produce started out as a potato and onion repacking business and distributed to stores in the surrounding areas. Anthony's son, John Sorbello, joined the business in 1979. In 1980 they recognized a shift in the produce business and the need to distribute more than just potatoes and onions. Sorbello's Produce started to deliver a full line of produce to area stores and restauants. John purchased the business from his father in 1982. With the family farming background, the next step was a natural fit — a retail lawn and garden business. Sorbello's Lawn and Garden business was launched in the spring of 1985. This business is seasonal and features flowers and shrubs in the spring and summer months, pumpkins and mums in the fall and Christmas trees in the winter. Most of their flowers and plants are home-grown. They propagate product from seed and plugs, which allows them to nuture plants to a larger, more heartier size. The Produce business has had a solid clientele for over 30 years. Sorbello's continues to provide different varieties of product, as well as carrying the staples of the business; condiments, spices and locally grown products. In July of 2009 Sorbello's Produce also began offering their customers Disposable restaurant supplies such as paper, foil and to-go products. Upon completion of a new building in the spring of 2010, Sorbello's opened their Gift & Garden Center. 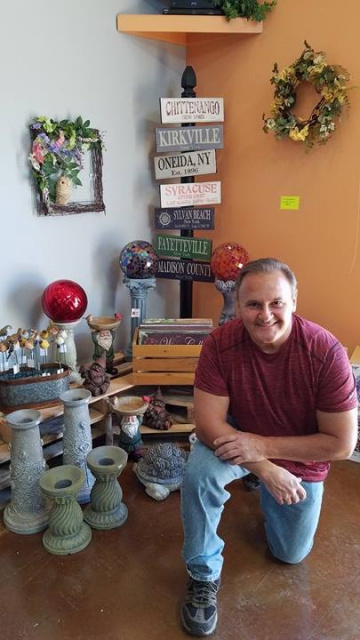 The Gift & Garden Center showcases garden products and accessories, as well as a gift area. The gift area features regional food products, gift baskets, linens, candles, soaps, and handmade items.